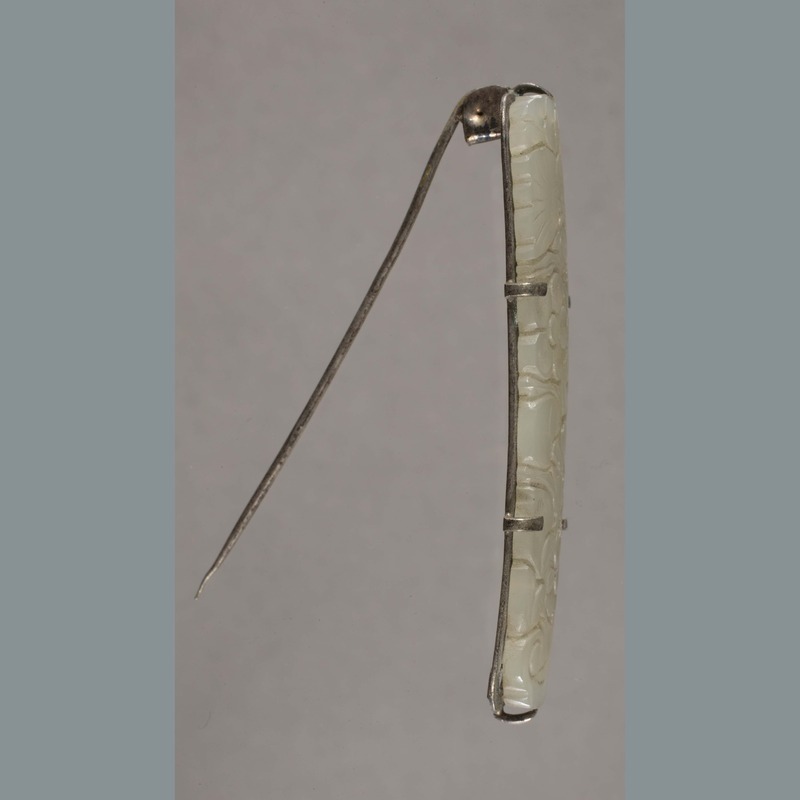 One rectangular white mutton fat jade hair ornament with a slightly convex sagittal cross-section. 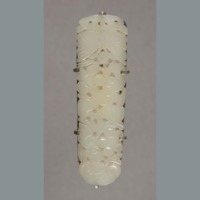 Obverse presents carved and incised serpentine botantical design bounded at one end by a butterfly and at the other end by a ruyi fungal pattern. Design pierces jade at many points. 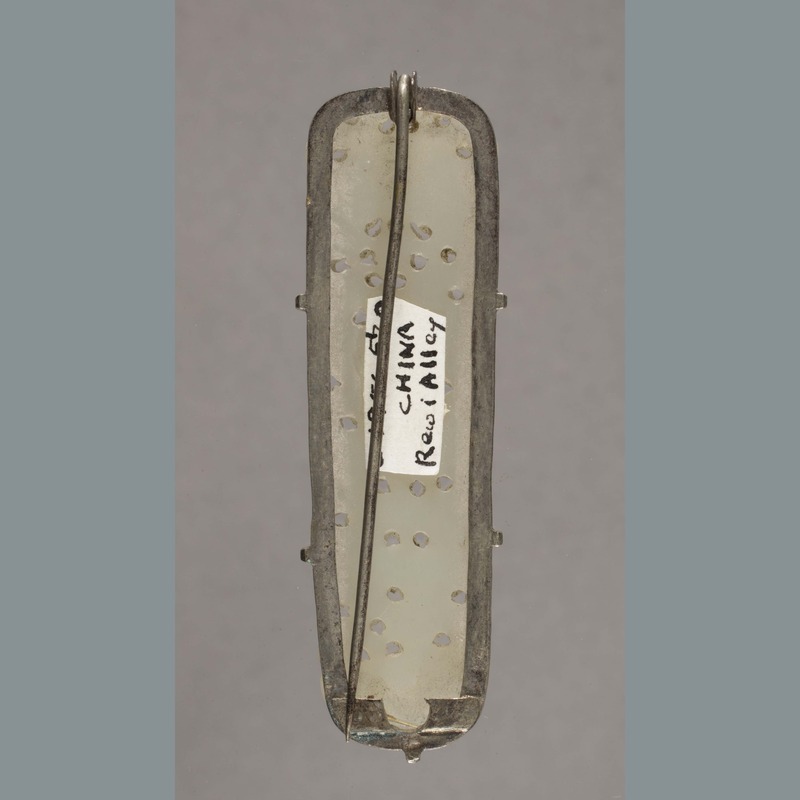 Reverse of ornament presents rectangular silver-metallic wire mounting and hinged pin. 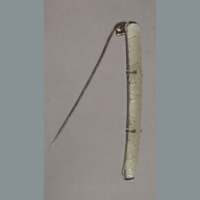 Pin locking mechanism is broken. 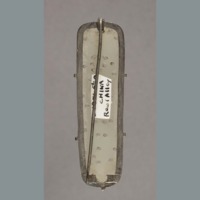 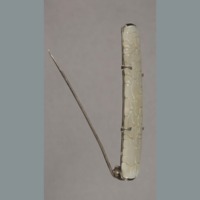 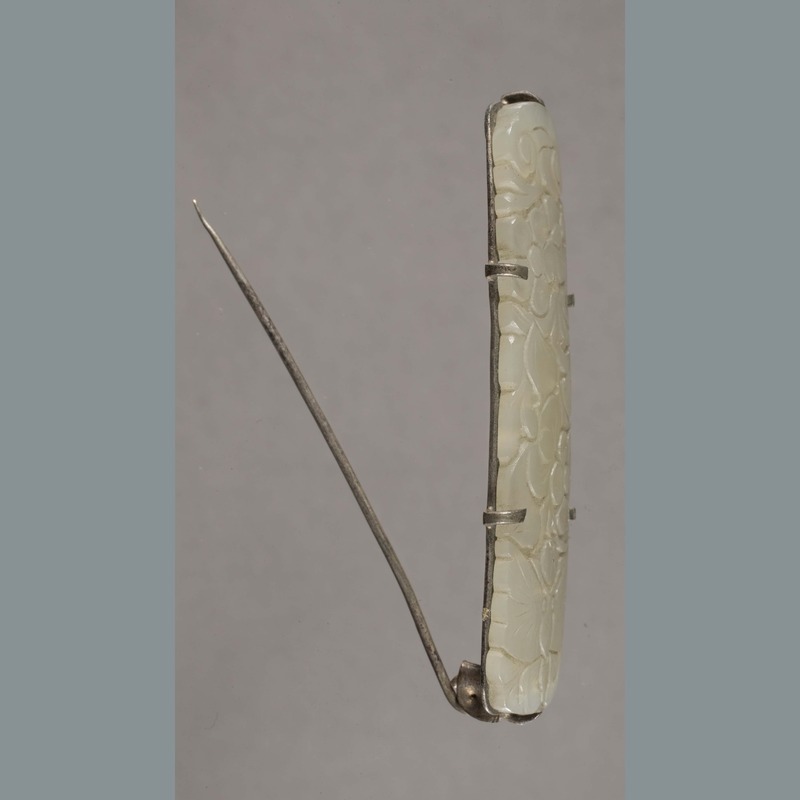 “Jade: hair ornament,” China, Art and Cultural Diplomacy, accessed April 22, 2019, http://rewialleyart.nz/items/show/1130.